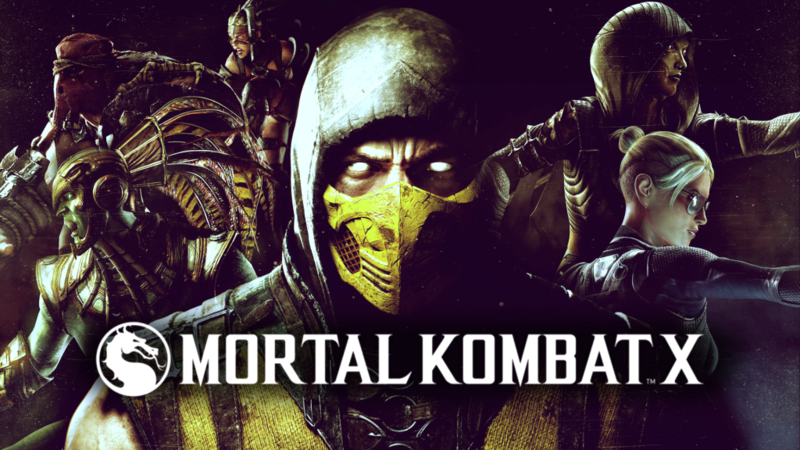 Will new Fighters Cause a Flawless Victory or Fatality to Mortal Kombat X? Being the 10th main title in a fighting franchise that has had its fair share of ups and downs, NetherRealm Studios has taken quite the gamble in developing a somewhat reboot in Mortal Kombat X. Particularly so after the fan-service that was its predecessor, which looked to had put to bed the saga almost entirely after killing off a vast majority of its characters; yet as any Mortal Kombat fan would know, no one stays dead for long. When the official reveal trailer was released last year featuring the iconic Sub-Zero and Scorpion, one couldn’t help but yawn at the idea of yet another rehashed entry into an already bloated gaming collection. However, a string of fresh new characters have surfaced since, all unforgettably unique in design, tactics and what seems to be in story as well. Although, will simply adding an assortment of newer characters save a franchise that has become tiresome? With Mortal Kombat X, we are to be introduced to not only shiny new ‘Kombatants’ to marvel over, but also a brand new storyline that is set to take place within a span of 25 years; making it more perceived as a true sequel rather than the reboot it has been marketed as. It is interesting to see creator Ed Boone and NetherRealm Studios choosing to stick to a more solid storyline, unlike its rival gaming titles of the same genre; but with the game’s roster being consisting of mostly newer characters, it makes sense to give them at least some sort of relevancy. So far, the roster is currently resting with 14 playable characters and as mentioned before, it’s not uncommon for MK characters to return from the dead…especially if they are Gods after all. Yes, which leads to the confirmation that fan favourite Raiden, along with other Mortal Kombat veterans Kano, Kung Lao, Scorpion, Sub-Zero, Quan Chi, Reptile, Kitana and most recently verified Ermac will be competing in yet another MK tournament. 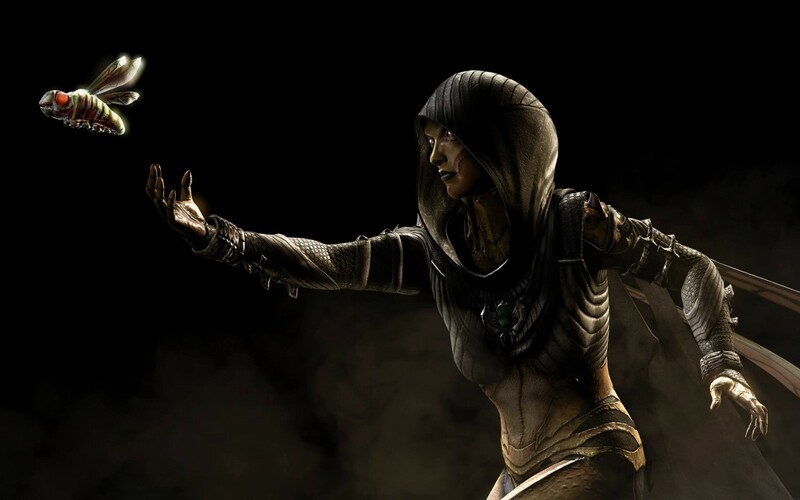 With such iconic characters being confirmed to be playable throughout MKX’s gamespan, many may feel as though this could simply reinstate the idea of the rehashed formula fans are a little tired of playing with a typical fighting game. Despite this, what needs to be taken in to consideration is MKX’s 25 year span; and more importantly that a whole lot can happen in 25 years, meaning that these veterans may not only have changed in their characterization, but also their abilities as well. 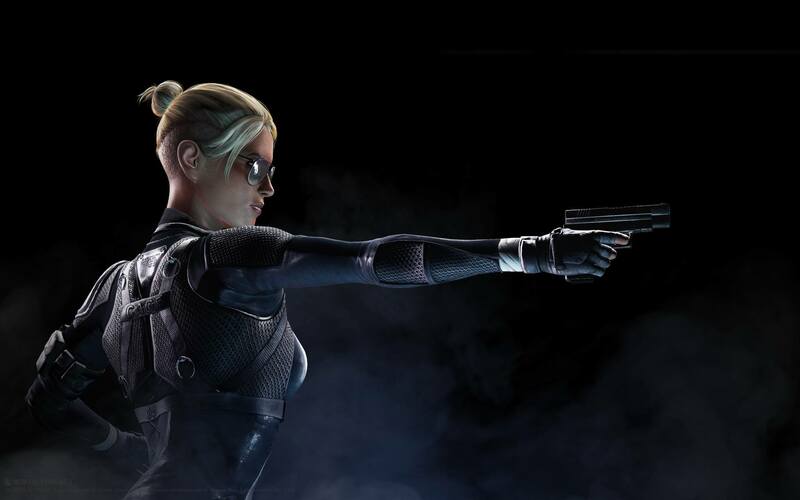 First up, the biggest tie-in (at least, genetically speaking) is Cassie Cage; whom of which I’m sure many will guess is the daughter of unlikely coupling Sonya Blade and loud-mouth Johnny Cage. Cassie’s striking resemblance to her parents is not the only thing she inherited, as she moves as fluid and with the newly introduced customized fighting abilities she also has the choice, she may also mimic their fighting styles as well. As you may already have guessed, this half human, half insect fighter is meant to resemble that of a bee. It has been mentioned that D’Vorah will be a character that the main plot revolves around; and with abilities dubbed as ‘brood mother’ and ‘swarm queen’, this can only thicken the idea of her being somewhat of a Queen Bee. 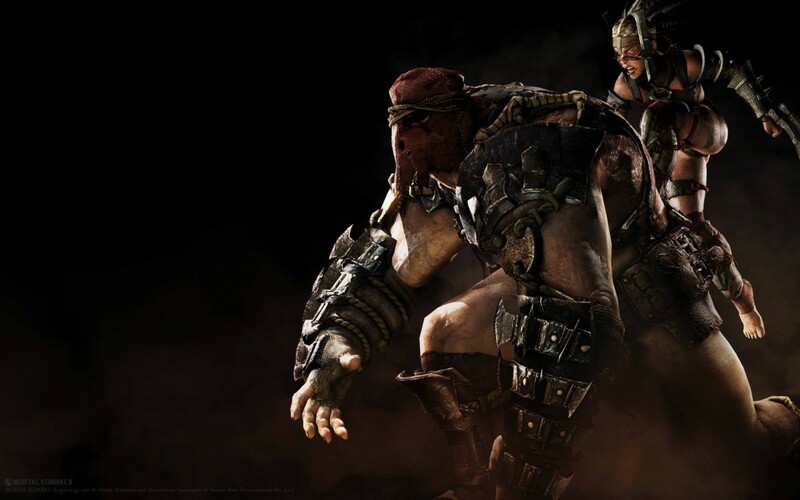 Although technically made up of two fighters, consisting of what appears to be a giant ogre-like character (Torr), who carries his smaller companion (Ferra) on his back. These two seem to be quite the anomaly in Mortal Kombat, especially as they are treated as one fighter despite their team-up attacks. What is certain though these two are intriguing characters that fans will want to know more of upon the game’s release. What is no doubt set to be yet another MK heavyweight, especially in terms of story is Kotal Kahn; who is also the descendant of MK villain Shao Kahn. 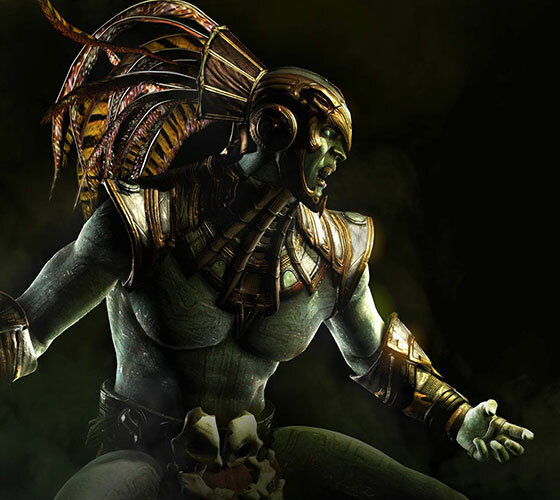 Other than that, not much else has been revealed of Kotal Kahn, but this evidently shows that NetherRealm are hoping that these newer characters will make their mark in the MK Universe. Despite their only being 4 newer characters that have been revealed so far, it gives the impression that Mortal Kombat at least has the aspiration to be an unforgettable instalment; and the enhancements don’t stop there. In a latest Twitch stream, it was also teased that there would be a new type of ‘ality’ that would be revealed in the coming months; which if you’re familiar with the finishers that the series has included so far, can only make this newest instalment all the more intriguing. Along with this, the favoured ‘console-exclusive’ characters (which previously included God of War’s Kratos) will also be featured once the game is released in April; which with the exception of newly announced Goro are yet to be revealed. What is clear here is that NetherRealm are not holding back in terms of enhancing the game so that it is still relevant in today’s market. It is indeed an inspiration vision, particularly from a series that has been going since the 90’s, let alone a fighting game at that. Only with the revealing of what has been teased recently will we be able to gauge whether or not if Mortal Kombat has succeeded in this. Mortal Kombat is set to be released 14th April 2015. An all-round Comics, Games and Film Geek, Jess Healy is a 21 year-old photojournalist/model/cosplayer living in North Wales. Having recently taken the plunge into the intricate phenomenon of competitive cosplay, Jess's articles cater to all types of fandom that looks to celebrate geek community; whatever geek you may be!